Focus World has released the first trailer and poster for director Alex Gibney’s (Taxi to the Dark Side) documentary We Steal Secrets: The Story of WikiLeaks. As the title suggests, the film focuses on the creation and effect of Julian Assange’s controversial WikiLeaks website, but this trailer also promises a look into how the information age has affected the way governments function and the moral grey area that comes with keeping national secrets. It’s riveting stuff, and I’m happy to see that Gibney’s focus looks to expand beyond Assange/WikiLeaks to examine what the ordeal reveals about the way our world’s governments function in the 21st century. Hit the jump to check out the trailer and poster. 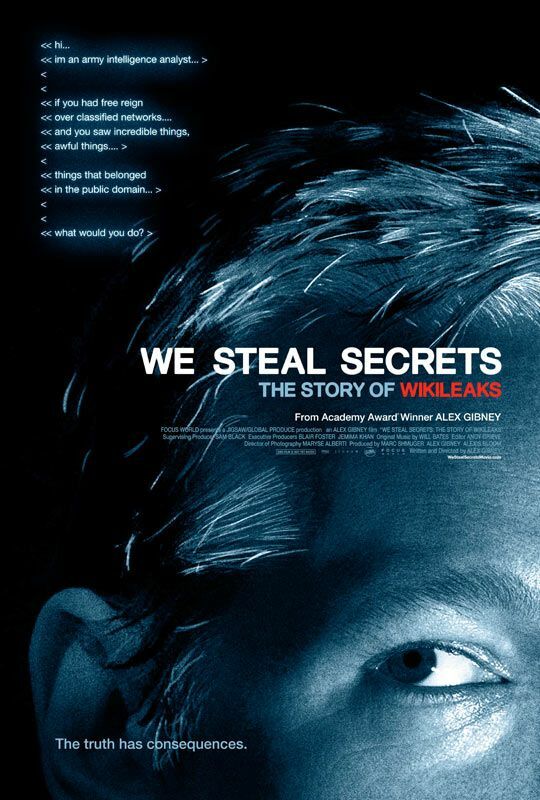 We Steal Secrets: The Story of WikiLeaks opens on May 24th. Filmed with the startling immediacy of unfolding history, Academy Award-winning director Alex Gibney’s We Steal Secrets: The Story of WikiLeaks is a riveting, multi-layered tale about transparency in the information age and our ever-elusive search for the truth. Detailing the creation of Julian Assange’s controversial website, which facilitated the largest security breach in U.S. history, the film charts the enigmatic Assange’s rise and fall in parallel with that of Pfc. Bradley Manning, the brilliant, troubled young soldier who downloaded hundreds of thousands of documents from classified U.S. military and diplomatic servers.